Stories teach, inspire and entertain us — but most of all, they define who we are. At Witmart, our story begins with our clients and lives on through their successes. Today, we’re featuring Julie Steward, founder and owner of the adorable MITTEEZ, the mom who does it all. Whether you’re a first-time parent or you have multiple children, there are a few stages of babyhood that really haunt you: the late nights, the dirty diapers, toilet training — and teething. For Julie Steward, teething was an absolute nightmare. All her babies had difficulty with teething, all four of them. This struggle inspired Julie to find a creative solution to save the lives of moms everywhere. Thus began a seven-year journey. Years of research to discover what materials were not only good for teething, but were hypo-allergenic, hygienic, non-toxic, organic, and eco-friendly. 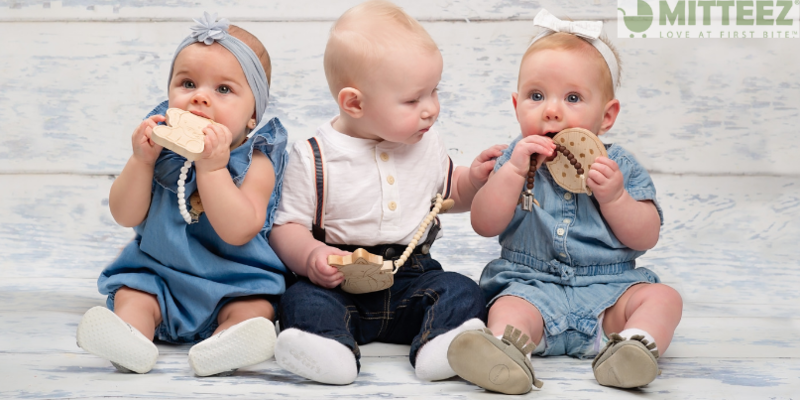 Eventually settling on bamboo and organic cotton, it took years to design, manufacture, and bring these baby-friendly bite-ables to market. But what to call it? MITTEEZ hit the shelves. Soon there were happy babies with happier mommies. But Julie ran into an unexpected and unpleasant problem. Due to the materials used in the mittens, Julie started manufacturing her mittens in China. Her very first factory decided to copy MITTEEZ and produce a similar concept for their own profit. This blatant infringement forced Julie into an expensive legal battle for the rights to her teething products. Witmart bridged the gap between Vancouver and China and secured Julie’s China trademark. Knowing that a knock-off company could not use the name MITTEEZ gave her great peace of mind. Now Julie can enjoy her work to the fullest. 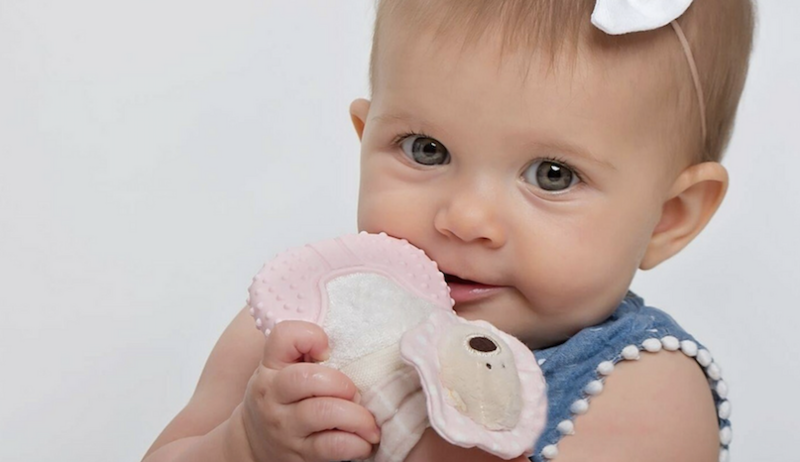 She takes pride in making a positive difference for babies as well as our future by designing completely safe, medically endorsed, organic and natural teething products. Since her early days finding inspiration from motherhood, Julie’s teething babies have now grown into young adults, eager to get in on the action. The family spends many evenings and weekends together, bonding over packing boxes full of orders. Julie’s daughter Calyssa also joins her to help out at trade shows. As a mother who runs her own business, Julie understands better than anyone how challenging it can be trying to juggle everything at once. She advises other business moms to start by making a proper business plan and updating it yearly.